Like the rest of your WooCommerce store, these templates are controlled by your site's active theme (or child theme). To help with styling and customization, we've added unique classes like .autoship-scheduled-order-template and .autoship-scheduled-orders-table to help you be selective in styling only the templates for Autoship Scheduled Orders. 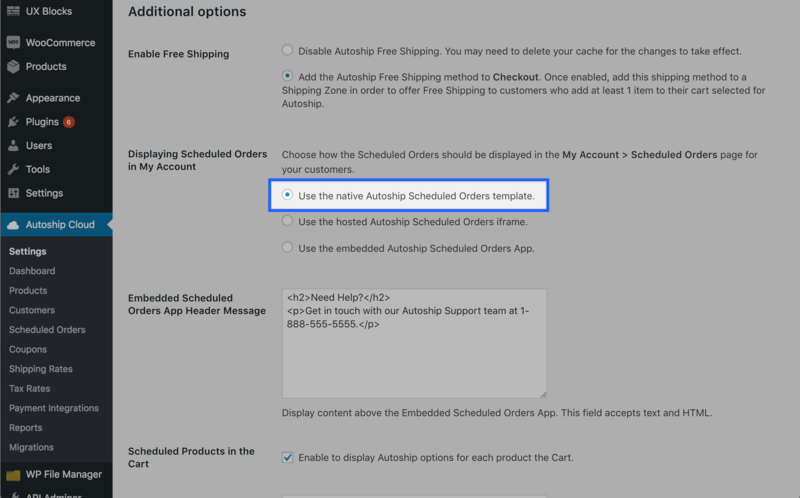 In this example, we add custom CSS to our theme options to change both the appearance of the My Account > Scheduled Orders template (using the class .autoship-scheduled-orders-table) as well as the Scheduled Order template (using the class .autoship-scheduled-order-template).